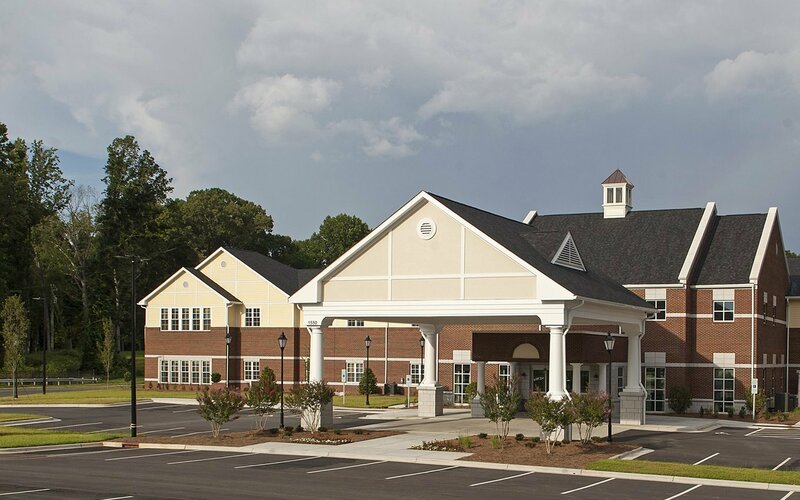 Salemtowne is a non-profit continuing care retirement community in Winston-Salem. Home to over 300 residents, most of the community’s facilities were built 20 or more years ago. 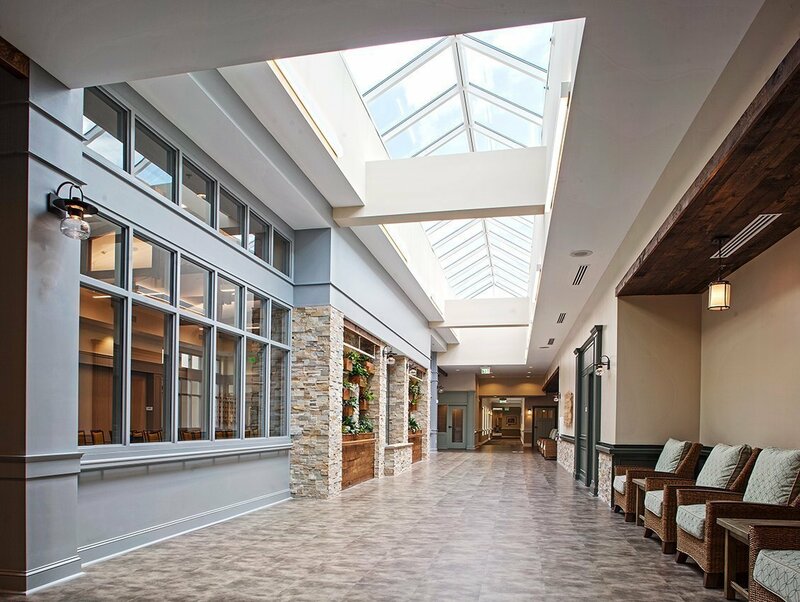 Salemtowne began working with CJMW Architecture in 2013, developing a master plan that responds to a growing and changing marketplace in senior living. The first phase of the plan – the construction of a new health care center – has been completed. 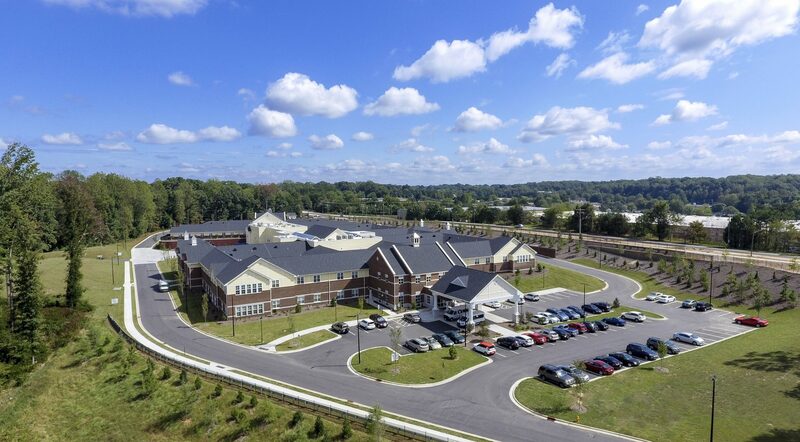 The new health center, designed in the “household” model, represents a shift in care for Salemtowne, and a great leap forward in providing an enhanced quality of life to seniors. 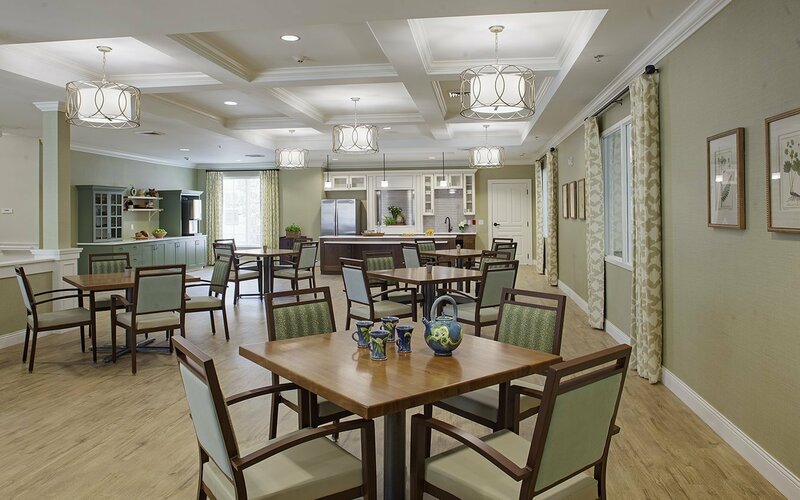 In the contrast to the old model of resident rooms located on long corridors, the new building is divided into six “households” – two for rehabilitation residents, three for skilled nursing and one for memory care. 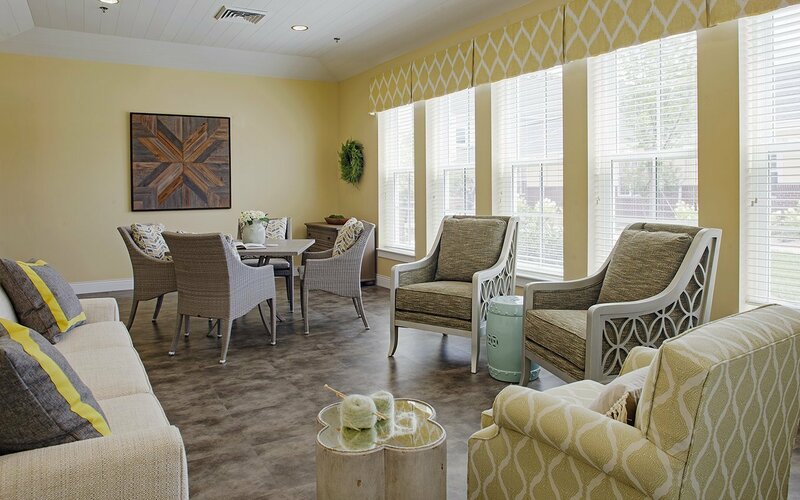 Each household has private rooms for 20 residents, a common living room, a dining space and a pantry/kitchen that allows staff to prepare smaller, personalized meals. 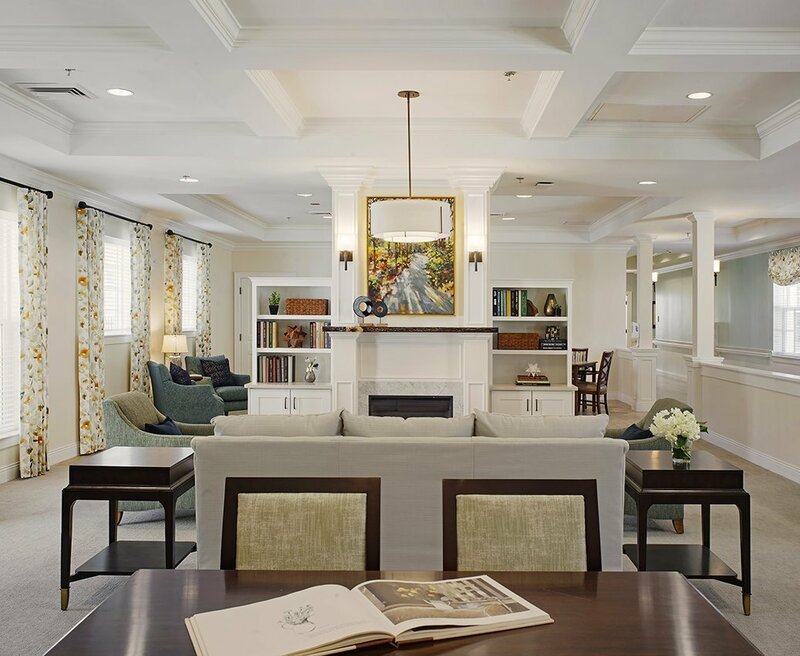 While the households have similar layouts, each has distinctive light fixtures and walls of a different pastel color to help residents and visitors with way-finding. 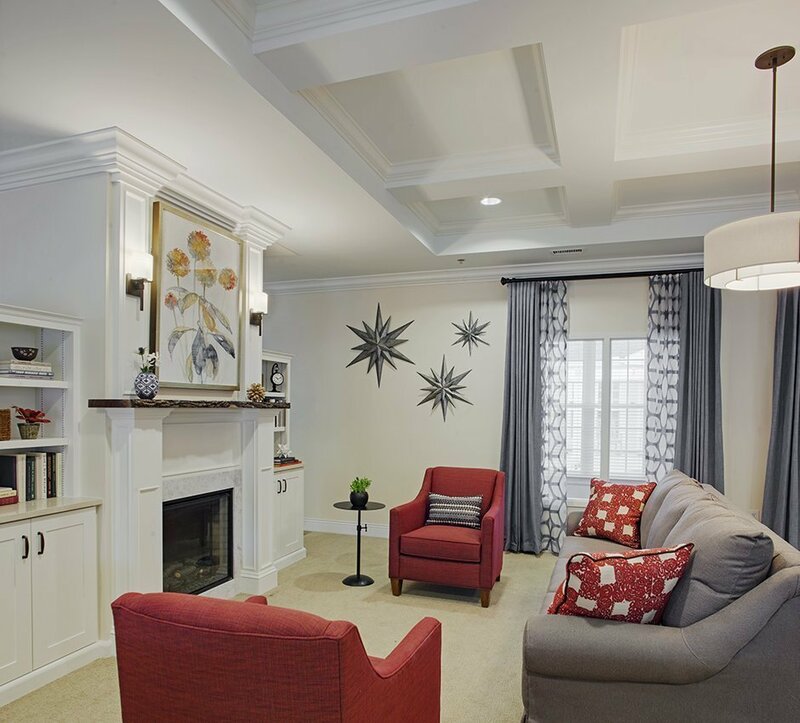 Common areas include fireplaces with beautifully crafted mantels made from reclaimed walnut trees that once stood on the property. 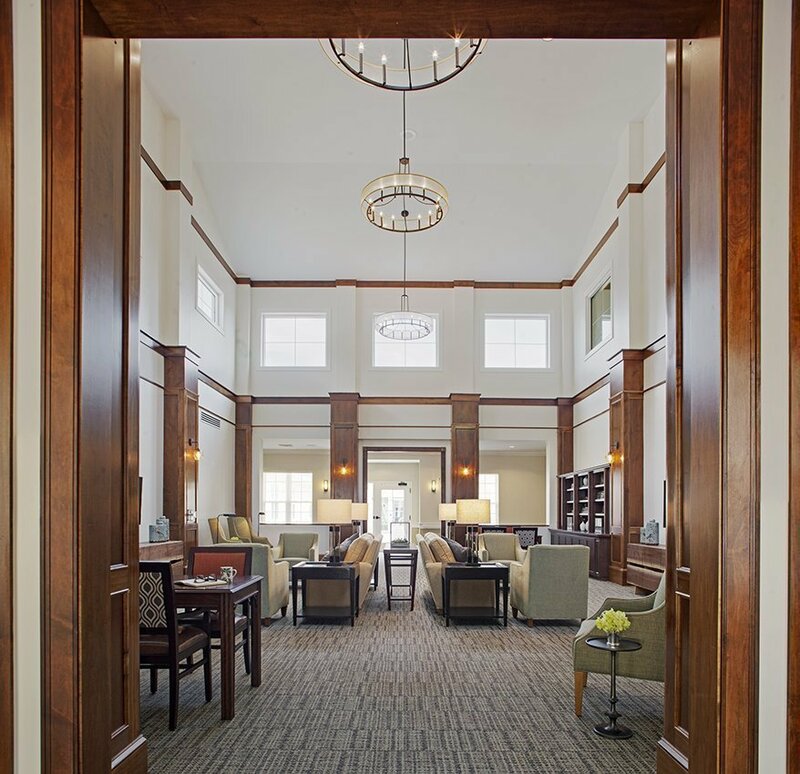 In the memory care areas, a “memory box” beside the door to each room allows residents to personalize their entryways. Each resident also has a spacious bathroom with an accessible shower and contemporary tiling. 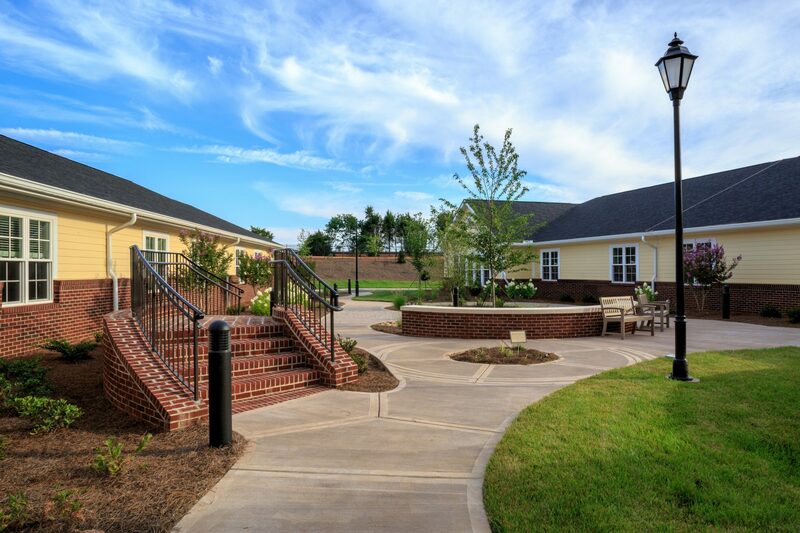 In keeping with research showing that seniors greatly benefit from exposure to nature, each room has sizable windows with pleasing views, and every household has access to an outdoor courtyard with attractive landscaping. 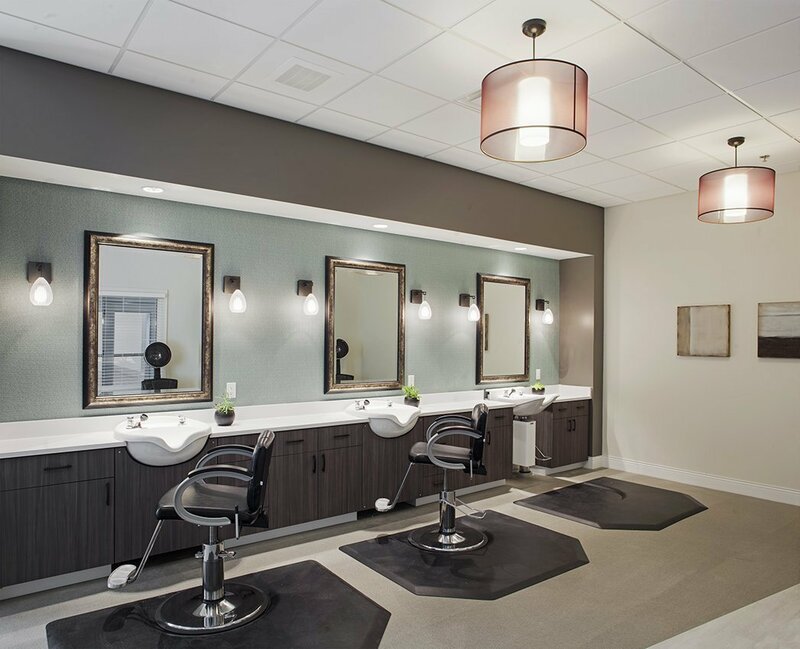 An inside corridor connecting the two wings of the building is bathed with light from tall, skylighted ceilings and accented by water features and plant walls, bringing the “outdoors in.” The rehabilitation therapy area will provide a spa-like environment for healing. With the completion of the new health care center, CJMW is working with Salemtowne to implement the next phases of the master plan. Residents will soon vacate the former Phillips Health Care Center, which will be renovated into assisted living apartments. 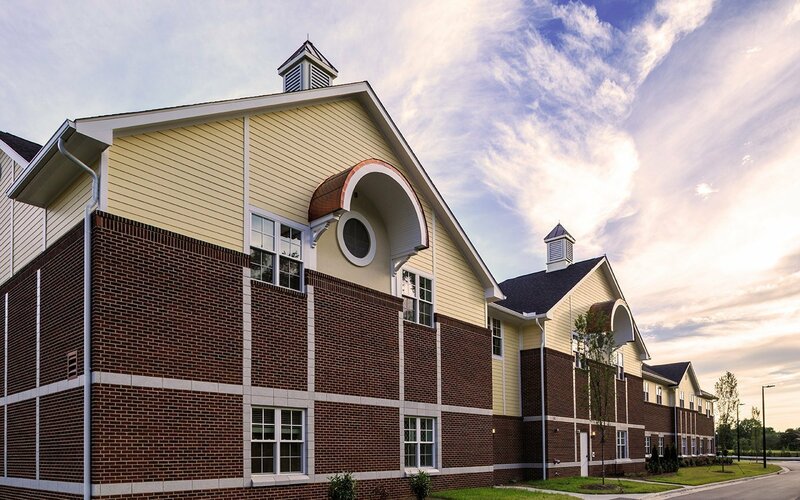 In addition, two new apartment buildings will bring more independent living options on the campus.